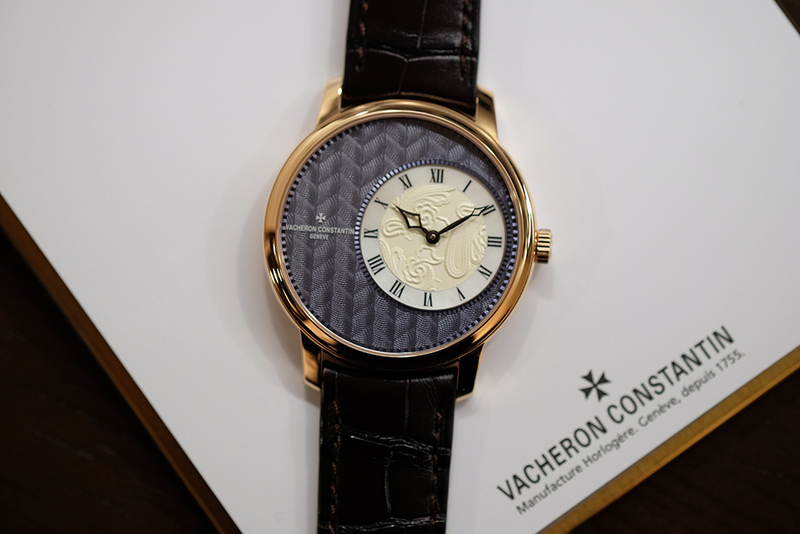 Julien Marchenoir, the enigmatic Marketing Director for Vacheron Constantin was in London for Craft Week. 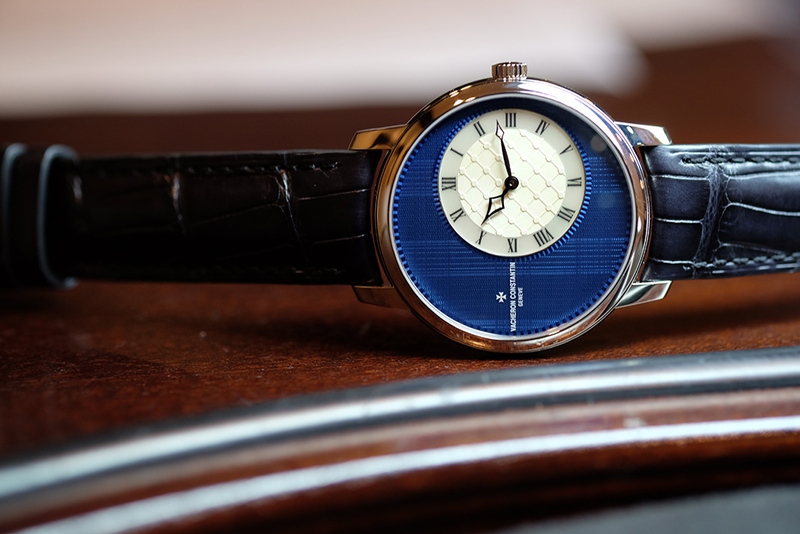 We sat down at Gieves & Hawkes on Savile Row to discuss the new Métiers d’Art Elégance Sartoriale collection, the challenges of producing such intricate dials as well as who he sees the collection appealing to. 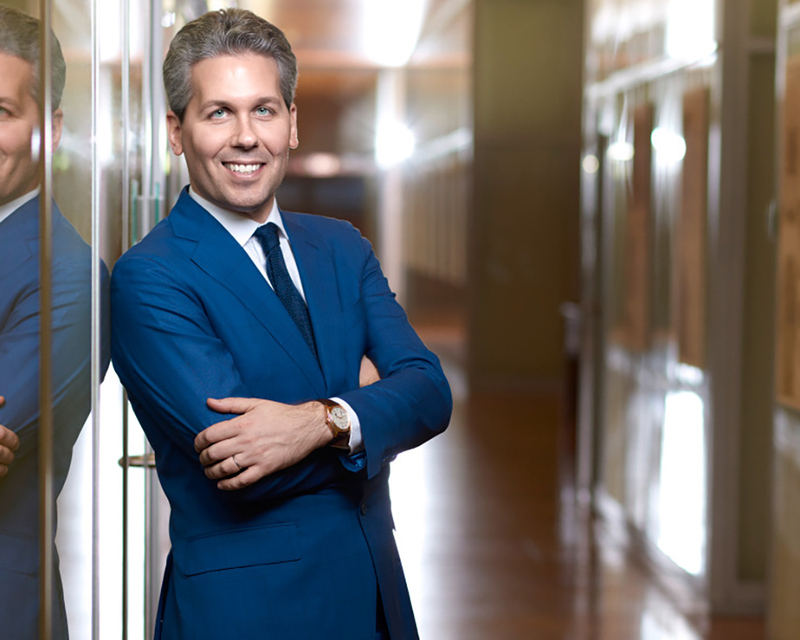 Justin Hast: What was the inspiration for the Métiers d’Art Elégance Sartoriale collection? Julien Marchenoir: The inspiration is sartorialism in general. We believe it is time for masculine elegance to come back. The young generation is looking to sartorialism, so we decided to pay tribute to this tradition with a little twist. We selected five emblematic fabric patterns that make the world’s best suits. We then looked at the refined motifs, such as the ties and pocket squares that you see in a complete wardrobe of a gentleman. We decided to reinterpret this in our own way. It took us quite some time to select these emblematic patterns. JH: How did you come to choose those five particular patterns? JM: We went through a number of magazines and did some detailed research, then when we selected herringbone, tartan, prince of Wales etc, we looked at the patterns in more detail [according to Vacheron’s Artistic Director Christian Selmoni,the main inspiration was actually Revolution’s sister magazine The Rake]. We then turned to the world’s oldest fabric manufacturer, Vitale Barberis Canonico. We had met a while ago, during the initiative we created for our 250 year anniversary, the Cerele 250, which promotes companies that have sustained over 250 years of continuous activity. JH: It must have been a challenge to find companies of that age? JM: It was, it’s about the continuity of a craft. We believe 250 years is a symbolic number. A generation is around 25 years, which means that for ten generations you have been able to perpetuate your own craft, your own tradition. So we said, look you have been around since 1663 and we have been working on this, this is your history, your business, we need your advice, so the way we reinterpret this fabric will respect the codes. All the fabrics come from thread that is even thinner than a human hair. They even sent us large document files to assist our craftsmen in their job. JH: In your mind, what do you anticipate the Sartoriale collection customer to look like? 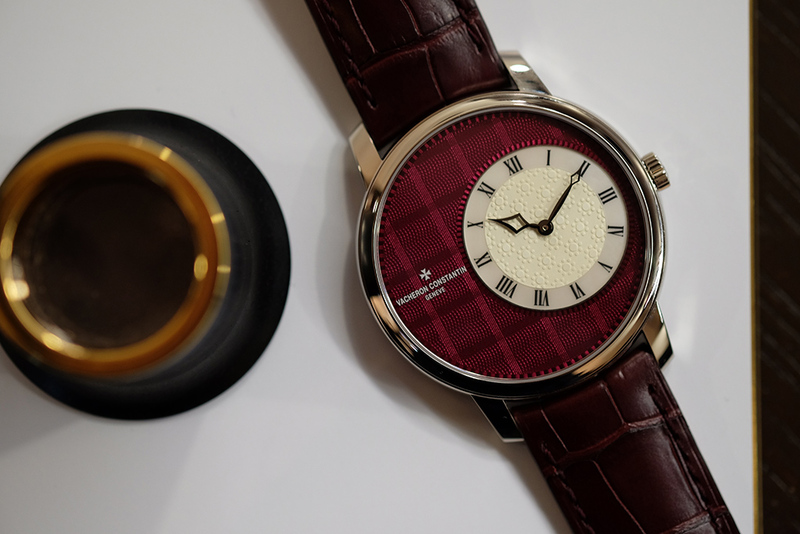 JM: I would say what’s interesting about this collection is that it bridges two kinds of customer, on the the one side ­ the very traditional customer who is looking for elegance with a twist, as the watches are very classic, round but with various colour codes. On the other side, the off-­centred sub dial for the hours and minutes gives it that bit of eccentricity, so it will appeal to more creative individuals, those looking for more quirkiness in their style. 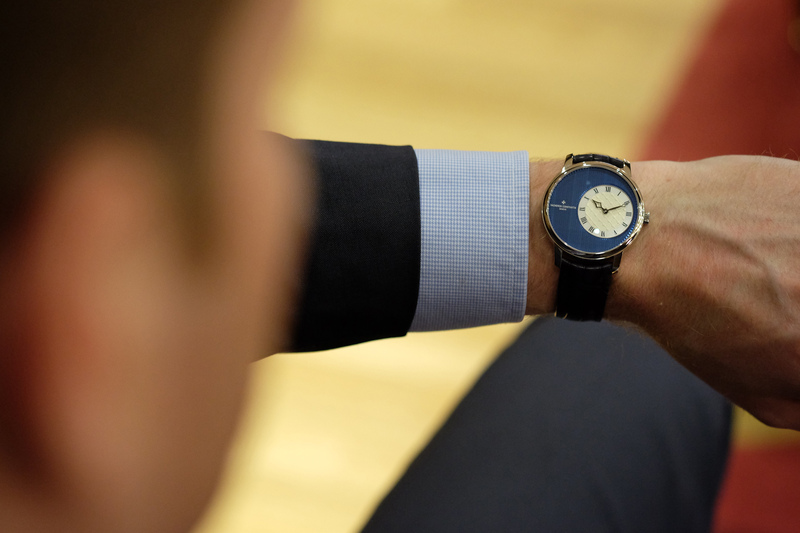 I think it is the colour of the dial that will influence one side of the audience or the other. JH: How many watches will you produce? JM: We anticipate producing 12 of each pattern over the next 12 months. However, it is the opinion of our craftsman that this may be optimistic. When we use enamel it doesn’t always work as planned ­ so it’s a time consuming process. JH: How difficult has it been to produce such intricate dials? JM: We have to combine a number of techniques. We started with the hand Guilloché. The most difficult task hast been replicating the exact patterns. The Guillochétechnique is actually a technique where we withdraw a 10th of a millimeter of material on the dial. So taking the original inspiration and using the hand Guilloché and replicating took quite some time. We then needed to find the right colour match. Initially we thought some colours would work well on certain patterns, which sometimes they did not, so we had multiple attempts. For the sub dial we used another technique, watchmaking tapestry. The mother of pearl was used as a nod to the material used on buttons of a suit, and we have given the leather straps a patina that would match the style ­ this will age and create a story for the watch. JH: I can’t leave without asking you, what are you most excited about seeing whilst you are here in London? JM: Well I’d say in the past I have been guilty of putting too many things on my list. However on this trip I would like to visit the London glassblowing workshops in South East London. Just being here at Gieves & Hawes is wonderful, but very dangerous for the wallet! JH: Which pattern variation was the most challenging to produce? JM: The Prince of Wales. This was because it’s a mix of different lines with different intersections ­- it was certainly the most difficult. 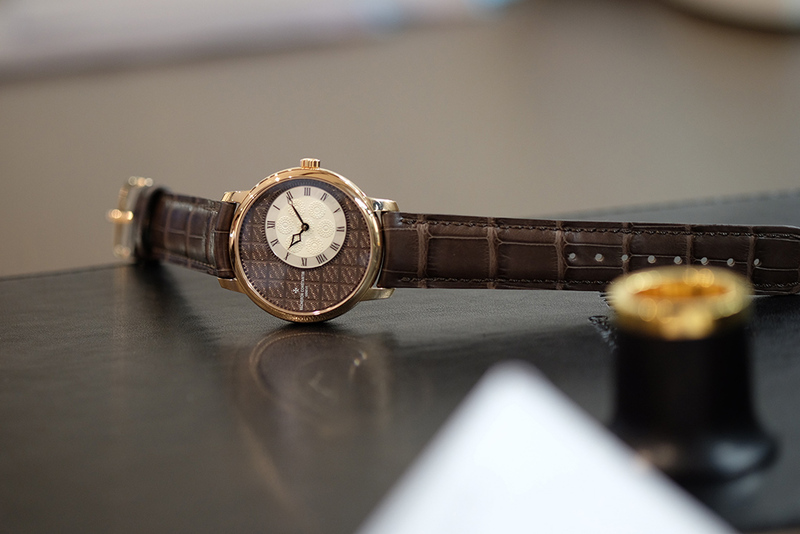 JH: You mentioned in your welcoming message here today that the art of hand decoration goes all the way back to one of Vacheron’s first creation. Do you feel the brand has the same level of commitment to craftsmanship now as it did then? JM: Definitely. We came before the Industrial Revolution even took shape. We have managed to perpetuate our craft since 1755, so over 260 years. Craftsmanship is part of who we are and we believe, now more than ever, there is a special place for craftsman to rediscover our history and beauty. Not only because it says something about our history but also about its relevance today. We now see that across the world younger people are getting more and more excited about this type of craft. Also those who may have started a career, have begun to re­orientate their focus to craft. Ultimately, the values behind craft are very relevant for today’s world as well as tomorrow’s.